"Sampath Speaking" - the thoughts of an Insurer from Thiruvallikkeni: what big valour in killing poor animal with sophisticated weapons !! ~ legalised trophy killing !!! what big valour in killing poor animal with sophisticated weapons !! ~ legalised trophy killing !!! When a man kills a Tiger – it is called Sport; when Tiger kills man, it is ferocity – a quote attributed to George Bernard Shaw. You may have bought electronics and other items Online in the much-hyped sales – this site however, gives people killing opportunity at a price !! -- the site addes that their fees include all applicable taxes as well as licence and permit fees. The minimum duration of an elephant and leopard hunt is 14 days, the minimum duration of a buffalo hunt is 10 days. All other species can be hunted in 7 days. Those who nurse sympathy towards animals feel that at a time when elephants are poached in high numbers, it is absolutely sickening to see anyone celebrating taking even one innocent life of this magnificent species. The website brazenly advertises – all prices quoted are in United States Dollar. The prices inclusive of taxes and permit fees and would depend on whether one is hunting for plains game or the Big Five and other dangerous game. African elephants are in trouble. Their numbers have fallen from as many as ten million a hundred years ago to as few as 400,000 today. 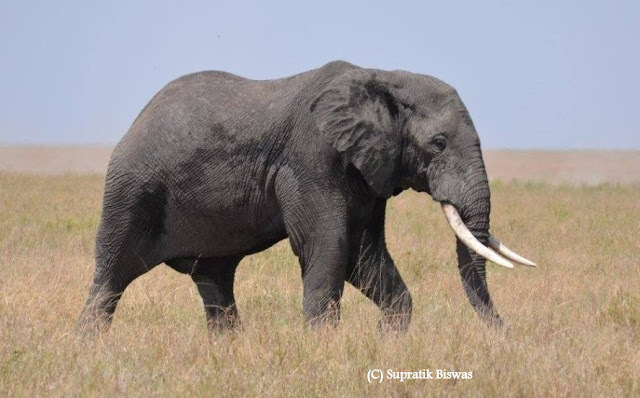 Recent losses are largely from poaching for the illegal ivory trade (some 30,000 elephants a year), but also because of the shrinking habitat for elephants, as people open up land for farming and development. In between there is a sick theory that killing more elephants help save the species is one counterintuitive strategy ! – and the Govt makes it legal, invites hunters from rich countries to pay generous fees to shoot specified numbers of elephants, and use that money for conservation and to help give local communities a boost. Do that, the theory goes, and poor villagers won’t need to poach elephants to feed their families. Man-Eaters of Kumaon is a book written by Jim Corbett. It details the experiences that Corbett had in the Kumaon region of India from the 1900s to the 1930s, while hunting man-eating tigers and leopards. Man-eater is a colloquial term for an animal that preys upon humans. Although human beings can be attacked by many kinds of animals, man-eaters are those that have incorporated human flesh into their usual diet. Most reported cases of man-eaters have involved tigers, leopards, lions and crocodiles. MailOnline reports of a shocking video showing French former goalkeeper, Pascal Olmeta, as part of a hunting trip that kills an elephant by shooting it in the head before laughing and congratulating each other. The former Marseille and Lyon footballer advertised photos of the trip on his children's charity website and said took part in the hunt because they are over-populated. The four-minute clip shows the footballer and a guide both armed with rifles tracking an elephant before shooting. With the animal crying in pain on the ground in Zimbabwe, the fatal bullet is shot straight through the elephant's head, and the pair laugh, congratulate and pose for pictures with its carcass. What is great to celebrate ? – killing an innocent giant animal, with sophisticated gadget – is this valour. The video shows the elegant animals in the wild with a serene backing track. But after two minutes and 40 seconds of footage, it takes a sinister turn and the music stops as the men hunt the elephant. After the first bullet is fired, the soundtrack becomes the heartbreaking wailing of the animal as it fights for its life. A second bullet is fired straight through its head and after the guide pokes it twice with the end of his rifle to make sure it is dead, the pair embrace in celebration. The video was from a trip to Africa in 2011 and photos of his travels are advertised on the website of his children's charity A Smile, A Hope For Life. Sickening and sad !! ~ back home, a man-eating tiger that killed three Indian villagers has been shot dead after hunters used drones, helicopters and even elephants to track down the big cat. The three-year-old animal had been blamed for attacking six people and killing three since September prompting a massive search operation in the forests of Himalayan Uttarakhand State. It was eventually found and shot dead before villagers broke into celebrations and paraded with the dead animal's carcass. 'There was resentment among the villagers, who were gripped with fear and panic after several attacks,' Uttarakhand chief warden of forest and wildlife said. 'Although she was a man eater, our priority was to tranquillise her but we had to fire bullets to kill her after many failed attempts to capture her,' he added. Hunters and locals villagers jointly conducted the 44-day long operation; Authorities used drones and helicopters along with elephants and hunting dogs to assist the scores of ground staff to track the evasive animal. In a different view, the killing by Pascal Olmet, the footballer at Zimbabwe, occurred in 2011 aiming to reduce the risks caused by the overpopulation. In 2011, Pascal Olmeta went to Zimbabwe to attend an annual elephant hunting that is not only legal, but which aims to reduce the risks caused by the overpopulation of elephants in the area. Zimbabwe organises each year a legal and regulated hunting in order to meet the need for regulation of the species.